Reading and writing as punishment? There is something inherently wrong with seeing the word punishment in the same sentence as reading and writing. Outside of academia, or reading to self-learn something, most of us look at reading as something relaxing, an escapism, something to get lost in or something that takes us to a place or time that becomes somewhat real. Again, outside of writing for scholastic purposes or work, writing is a form of expression, something pleasurable, something creative. So where does punishment fit in and where am I going with this? I read often as a child. We had an extensive selection of books at both my house and at my grandmother’s daycare center where I spent a lot of my time. We read, my mother would read to us, and we played with writing. My mother was big on that which could be expected since she was a writer. Besides the usual assortment of children’s books, we had classics, Grimm’s Fairy Tales, and stacks of National Geographic Magazine. We read them all. One summer when I was around 12 or 13, I got in trouble for something and subsequently became grounded for a month. My punishment: reading and writing. I grew up in a small mining town on the Mexican border that has long since reinvented itself as a tourist attraction with quite the artistic community. Since I sill regularly stay in contact with many of my childhood friends, I see pictures they post of my childhood home. One picture in particular immediately made me smile and took me back to that summer and my month long punishment. 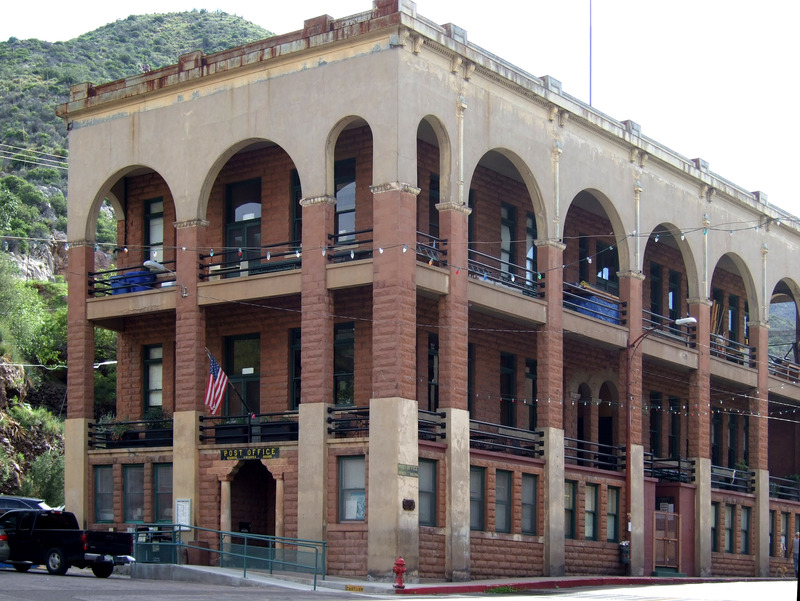 It was a picture of the library that I was sentenced to for a month: The Copper Queen Library, Arizona’s oldest library. For one month, I was required to check out a book each week, read it, write a complete book report on it, and if that wasn’t bad enough, I had to write down twenty vocabulary words from the book along with their meaning. Four weeks, four books, four book reports and eighty words. Summer vacation had started off with a bang. Oh, one other stipulation to my punishment: the books had to be non-fiction. OK, it wasn’t like I couldn’t go out and play with my friends that first week, miss my baseball games, or do other things kids want to do in summer, I just had to show my mother the progress I was making on reading, my list of vocabulary words, and notes I was making for my book report. Playing privileges for each following week were dependent upon successful completion of the prior week. Week five. I asked my mom to punish me some more and we all headed off to the library. I checked out The Outsiders and read it over a few days. That summer we went to the library once a week, and each time, I got a new book. My little brother even got in on the punishment and got a book each week. I even continued writing book reports and keeping a notebook with vocabulary words. For free. Best punishment I ever had in my life? Reading and writing. Hey, I Can Use That! Lol, this did make me laugh. I can think of nothing better than being sentenced to a library. I loved your choice of non-fiction reads. It’s great that your little brother got in on it too. Thanks for reading Emma and glad you saw the humor of it all. It was a fun summer and I’ve always felt it had an impact me. I would love to go see that library now. As a child it seemed so large but I would imagine it will be much smaller as an adult. I – freaking – LOVE this story. Wonderful post Bill! Your mother’s brilliance shines through. Reading The Outsiders and every subsequent S.E. Hinton creation were some of the best moments of my childhood. I was very shocked to find out S.E. Hinton’s age when she wrote her first book. I never knew that as a kid. Thanks Paige! Your mother sounds like an admirable lady. Thank you for visiting my blog! My mother is a character to say the least. Thank you too Lillian. This makes me smile. My mom punished me by taking books away for minutes at a time. It made me want to read even more! It’s a great memory for me. Thankfully my mom never took my books away.